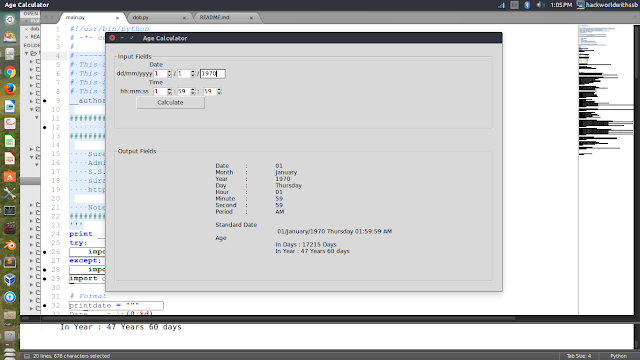 In Today's Tutorial, I am going to teach how you can easily create an age calculating app using python language. By The Way, i created this script only for practice purpose so, if you also want to polish your skill then Just take a Try. This Python Script Is Very Easy But Useful. Because Many Times, We Need To Know On Which Day You Born. And What Is Your Correct Age. Or We have to deal with various date and time problems. Therefore this project is going to give you a clear and basic idea actually how you can deal with data and time functions and modules. Well, Here I am going to create 2 scripts. first one is dob.py which is completely responsible for all date and time function operations and Another Script main.py, which is responsible for Graphical User Interface. In Dob.py, I am going to use DateTime module to play with date and time functions, regular expression module to check user inputs. In main.py, Tkinter for Graphics And Etc Etc. Because Every Function and codes are clearly visible in Codes. I am going to left Furthur Exercise For readers to Understand it on your own. Don't worry, For Queries and Suggestion You can use Comment Box. Today, For This Purpose We Will Use Python DateTime module. 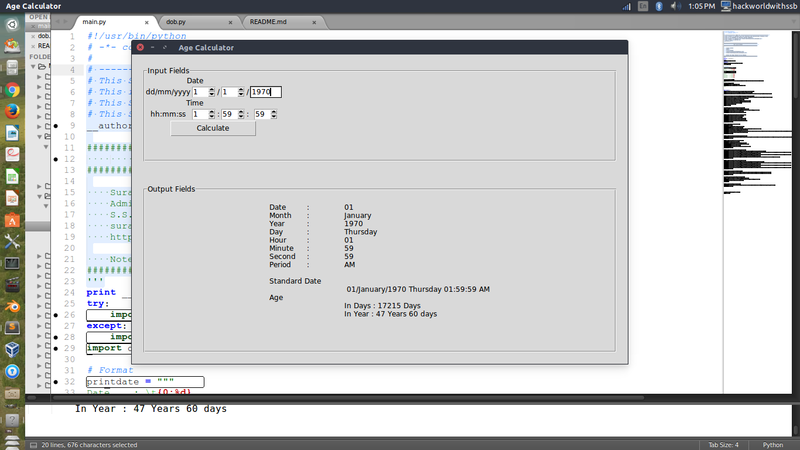 if you want with Gui(Graphical User Interface) Then Check This. and here, its python code.